Meteor Meet and Greet (formerly Gatwick CPS Parking) provides a convenient, time saving meet-and-greet Gatwick airport parking service. You won't find a better deal when you pre-book your chauffeured parking space on line with Holiday Extras® because of our Best Price Guarantee. The parking arrangements are so easy. If you are in a rush, need pampering, travelling with the family on holiday or travelling on business, this first class airport parking service is the one for you! Note: You must telephone Meteor Meet and Greet parking service on 08704 11 11 18 after you have made your booking to confirm your traveling arrangements. Security with Meteor Gatwick- Cars are stored at one of the secured airport car parks which are holders of the Secured Car Parks Award initiated by the Chief of Police. A reliable service and easy to book. A smooth exchange and without delay. Would always look at booking this service again. Our customers rated Gatwick Meteor on average 9/10 (203 reviews). Read Gatwick Meteor reviews. Drop your car and walk to check-in. Meet the driver at the drop off area outside the terminal. Theyll park your car in their secured car park while you take the 2-5 minute walk to check-in. On return youll be met near the terminal with your car. No shuttles are needed making Meteor Meet and Greet an excellent alternative for those who might find it difficult accessing a shuttle bus. 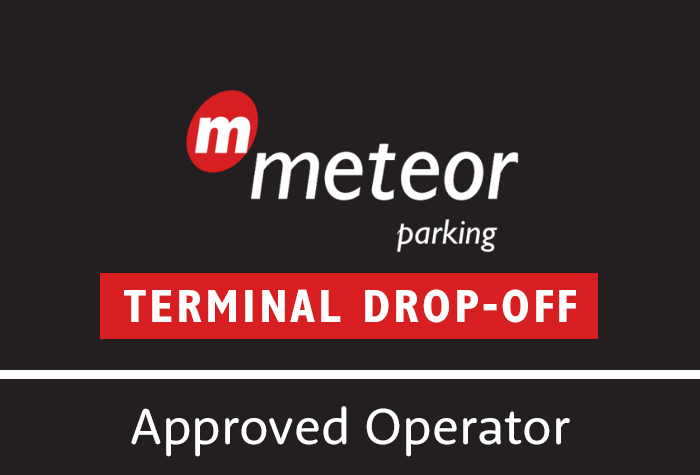 - When dropping off your car it is important to call Meteor 15 mins prior to your arrival as you arent able to wait on the departures level. If your arrival time changes please notify the car park as soon as possible. - You will be required to display a printed copy of their booking confirmation on your dashboard. - Meteor Parking are unable to accept the following vehicles: Maserati, Aston Martin and Ferrari. - Your car will be stored around 3 miles from the airport in the village of Horley. - Call the number on your booking confirmation 15 minutes before your arrival at the airport. - For the North Terminal follow signs for Approved Operators and for the South follow signs for set down and passenger drop off. - Meet the driver outside the terminal, take your luggage and make to your way to check in. Your driver will take your keys and park your car in a secured compound. Call the driver once youve collected your luggage and they will meet you with your car outside the terminal entrance.